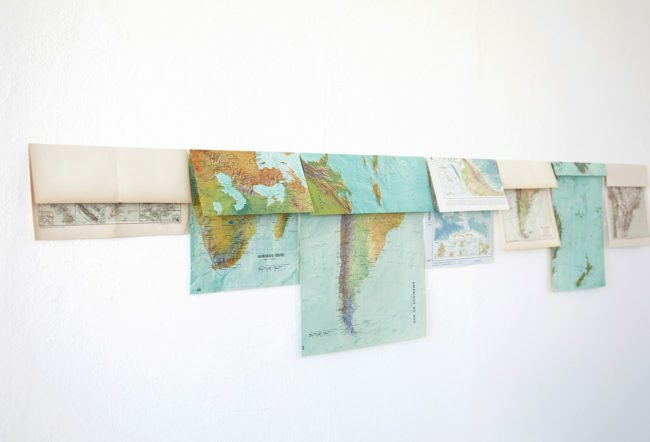 A group of maps is folded on the Equatorial line, in a way that the northern hemisphere covers up the southern. 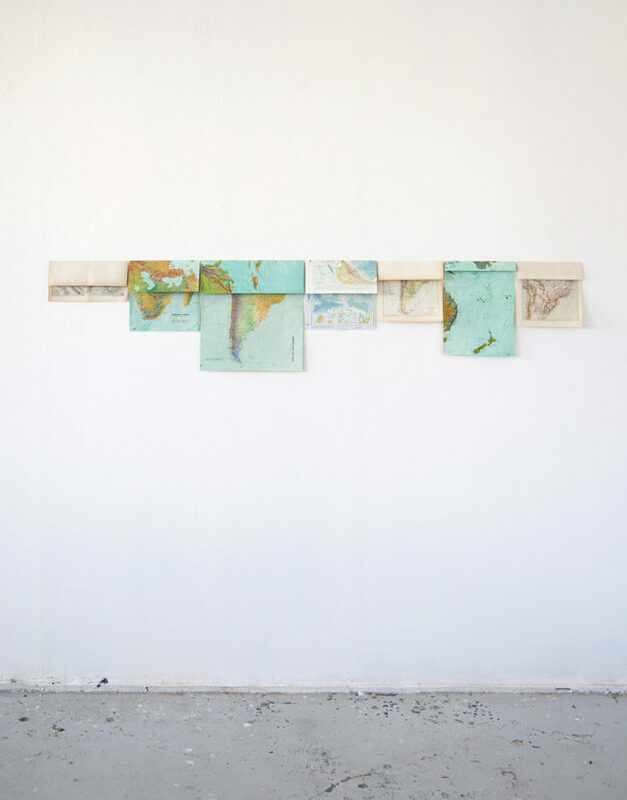 The series is displayed aligned, shaping a sort of horizon line from this folding process. 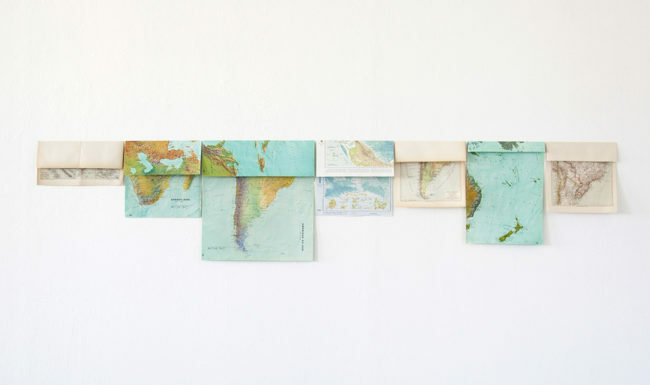 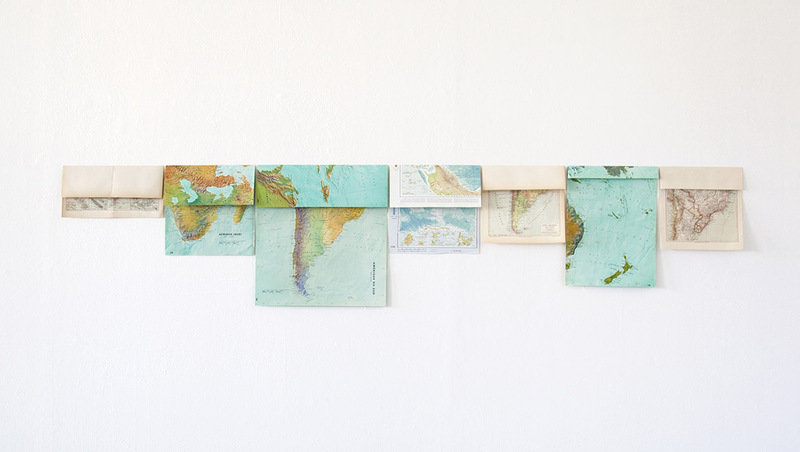 To the South (below the equator line) refers to a vision of the world defined from a dominant gaze, questioning the geopolitics division of the World.